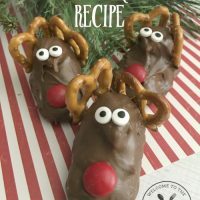 This Christmas reindeer recipe is fun for any age. 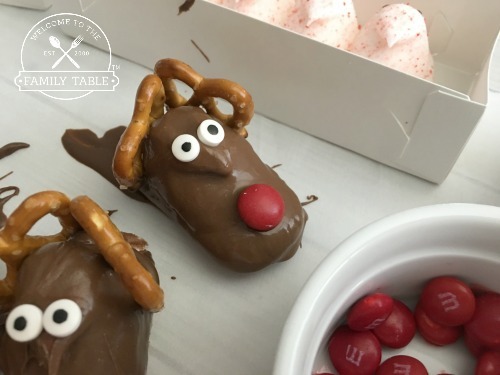 What child doesn’t love the story of Rudolph the Red Nosed Reindeer? 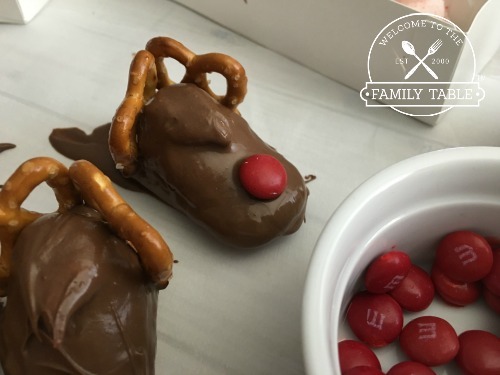 What fun it is to make these chocolate covered reindeer with peeps, pretzels, and M&Ms? 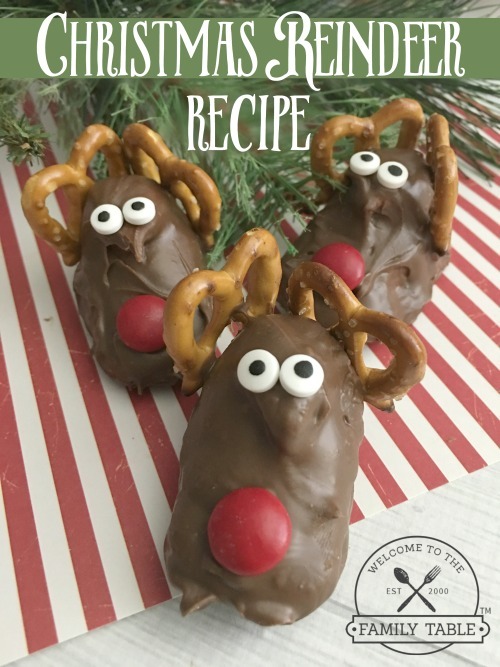 If you are looking for a fun treat to make with your toddlers, preschoolers, or school age children, our Christmas reindeer recipe is perfect. 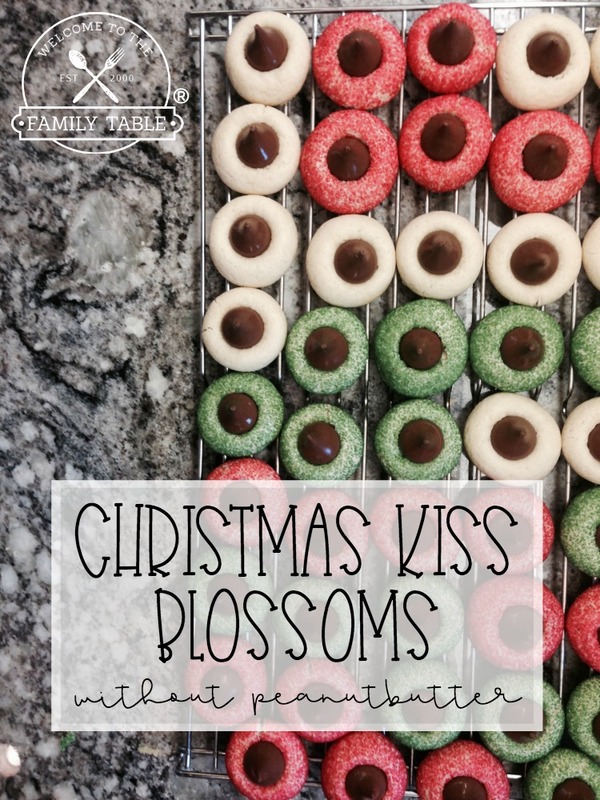 All you need are some simple ingredients, a sense of wonder, and a love for sweet and salty treats. Get a small microwave safe bowl, he ate your candy melts on 50% power for 3 to 4 minutes, stirring every 30 seconds until melted. 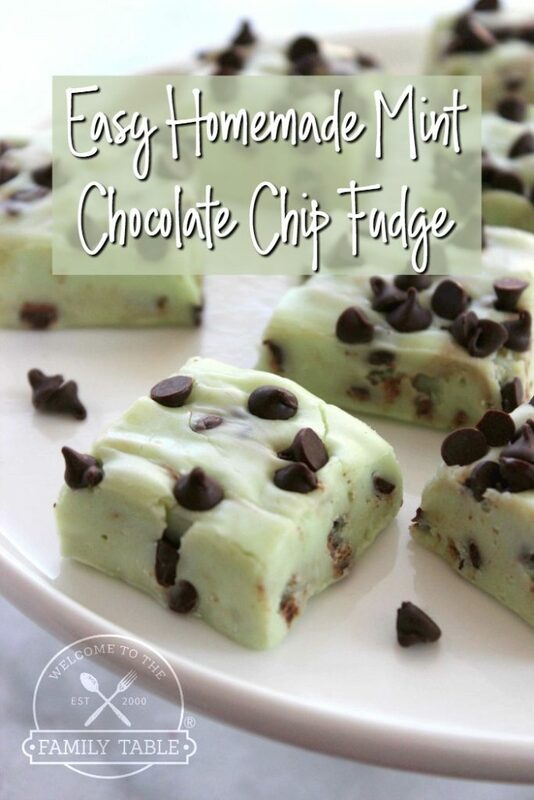 Dip one Peep at a time into your melted chocolate and use a fork or slotted spoon to let the excess chocolate drip off. 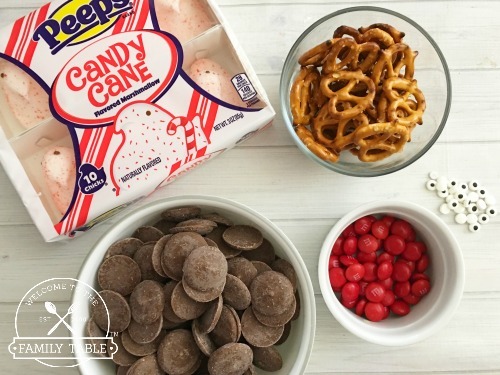 Set your chocolate coated Peeps onto a piece of parchment paper. Carefully place your candy eyes on the top of the peeps head, a red M&M towards the bottom, and two pretzel twists onto the back of the head. Let your peeps harden at room temperature before taking them off the parchment paper.